Researchers at the Canadian Museum of Nature and the Natural History Museum of Los Angeles have identified a 3.5-million-year-old bear species from fossils found in the Canadian High Arctic, and say the sorry state of its teeth suggests bears have long adapted to life in cold climates by eating plenty of sugar. The species, Protarctos abstrusus, was previously identified from a tooth found in Idaho, but subsequent digs at a fossil-rich site on Ellesmere Island known as the Beaver Pond turned up limb bones, as well as a skull and lower jawbone belonging to two different bears. The teeth in both were full of cavities, suggesting the bears consumed a high-sugar diet. In a paper published this week in the journal Nature, the researchers theorize that much like its modern-day cousin, the American black bear, Protarctos probably filled up on berries in the fall to pack on body fat for hibernation. The trade-off for their rotten teeth? The bears’ sweet cravings probably gave them an edge during the prehistoric Arctic winters which, while warmer than today, would still have seen 24-hour darkness and likely six months of snow and ice cover. The findings help fill in some blanks in the overarching story of bear ecology and evolution. Although Protarctos probably closely resembled a black bear in terms of its size and colouring, it is not a direct relative. It is, however, related to the common ancestor shared by all living bears. The Ellesmere Island fossils are the most northerly evidence of primitive bears found to date (other fossils of a similar age have all come from Eurasia) and suggest that the ability to survive in cold northern forests was not an invention of modern-day grizzly and black bears. “This bear looks anomalous because it’s so far north, but it’s showing us that even at an early evolutionary stage, ursine bears would have been adapted to very cold environments,” Rybczynski says. 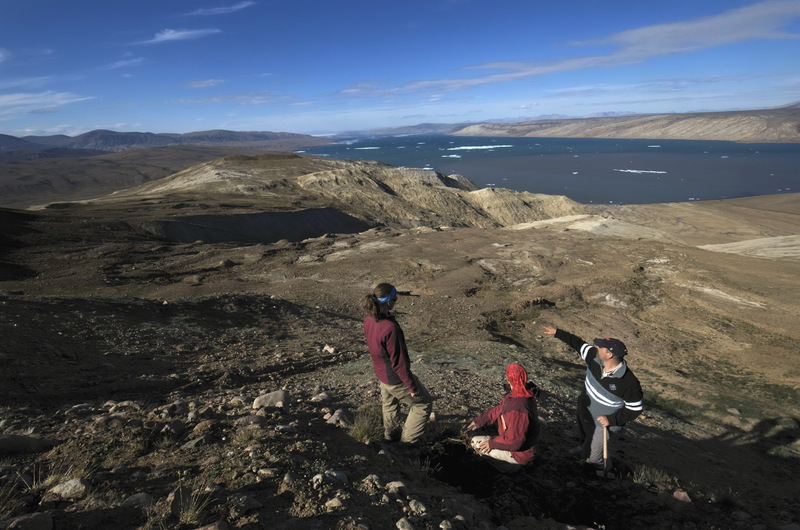 Protarctos is not the only significant find to come out of Ellesmere Island in recent years. Scientists have found fossilized vertebrates, including frogs, fish, weasel- and beaver-like animals and even a giant camel, as well as trees and the berry bushes on which Protarctos would have fed. All evidence points to a boreal wetland-type ecosystem that extended across the Arctic and into Eurasia, which during the Pliocene epoch was connected to North America by the Bering land bridge.